There were 21 press releases posted in the last 24 hours and 152,652 in the last 365 days. 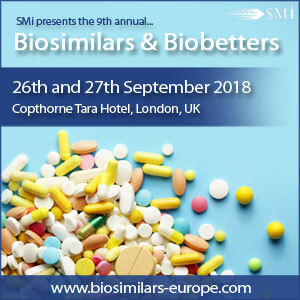 SMi Reports: An exclusive interview with Dr Michel Mikhail, who is chairing Biosimilars & Biobetters event, is now available to download on the event website. LONDON, LONDON, UNITED KINGDOM, July 13, 2018 /EINPresswire.com/ -- SMi Group recently caught up with expert speaker Dr Michel Mikhail, International Expert in Regulatory Affairs and Global Expert in Biosimilars, in the run up to the 9th annual conference on Biosimilars & Biobetters, taking place 26th – 27th September 2018 in London, UK. pharmaceutical and biotech companies, as well as in the generic industry. He has been involved in the global development and worldwide regulatory approval of Blockbuster Monoclonal antibodies medicines, as well as shaping the EU Biosimilars Guidelines and their review, the WHO Guidelines, ICH Guidelines and recently the US-FDA Biosimilars Guidelines. 1. What are the key areas for improvement within the industry? 2. What current hot topic will you be addressing in your presentation and what would you say makes it relevant to 2018? I’ll address the ‘US-FDA interchangeability guidance - what is needed to obtain the interchangeable status for the biosimilar product’. This is a very hot topic in view of the Draft US-FDA Guidance published in January 2017. The audience will hear about the latest FDA regulatory changes towards interchangeability of biosimilars. •	First in line: recommendations on how to achieve interchangeability and succeed obtaining 12 months exclusivity as first interchangeable biosimilar. •	Discuss what will need to be done after accomplishing this to increase biosimilar uptake in patients, physicians and prescribers’ groups and non-the less the success and profitability of the Biosimilar developing company.